Save nearly $500 per year with an annual membership @Accuscore. Hurry up! Join Now @ Accuscore & Get 7 days free trial. No code needed. Get 20% off on Monthly or Annual Member Ship Subscriptions. Use code football30 at checkout. Get 10% off monthly membership with code LC1 at checkout. Hurry up! Get 20% off monthly membership with code LC2 at checkout. Buy Now! Get 40% off an Annual ALL-SPORTS membership-Summer Special Extended with code 40off at checkout. Black Friday & Cyber Monday Promotion, Get 25% off an all-sports membership with code MNF25 at checkout. 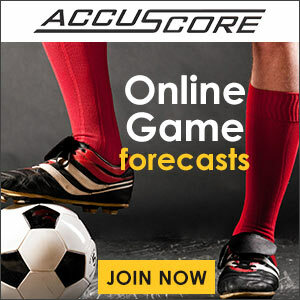 AccuScore Advisor is easy to use for sports betting system that helps users to find expert sports picks based on sports betting lines and spreads. Members get access to the betting trends that determine the star ratings, so each expert pick offers a wealth of research materials. AccuScore provides official betting lines for NFL pro football, College Football, NBA, College Basketball, NHL, Major League Baseball. Found a coupon for AccuScore?